In addition to revamping the premium-quality Zeiss-branded Vario-Sonnar 16-35mm f2.8 ZA SSM, Sony took the opportunity to do the same with its 24-70mm f2.8 sibling. Read on to find out how well this updated lens performs. Samyang 24mm F1.4 ED AS UMC Pentax and Sony mount lens review: Best 24mm lens for those users? Following the recent reviews of the Canon mount and modified Nikon (AE) models we’ve now turned our attention to the Sony Alpha and Pentax K mount versions of the ultra-high speed Samyang 24mm f1.4 prime. Read on to find out how well the Samyang performs and if that or a rival model is the best choice for Sony and Pentax users. 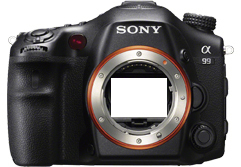 The Sony Alpha A6000 is a revision of the earlier NEX-6 featuring a new 24-Mpix APS-C sensor and on-sensor phase-detection AF with improved coverage. Read on to find out how the new model performs. As an moderately priced full-frame high-speed standard zoom, the Sigma 24-70mm f2.8 seems like a promising option to the far pricier offerings from the camera makers. Read on to find out how well it performs.